Kathleen Alcalá is a Bainbridge Island writer who has long been one of the Pacific Northwest’s most powerful voices in fiction, essays, and memoir. 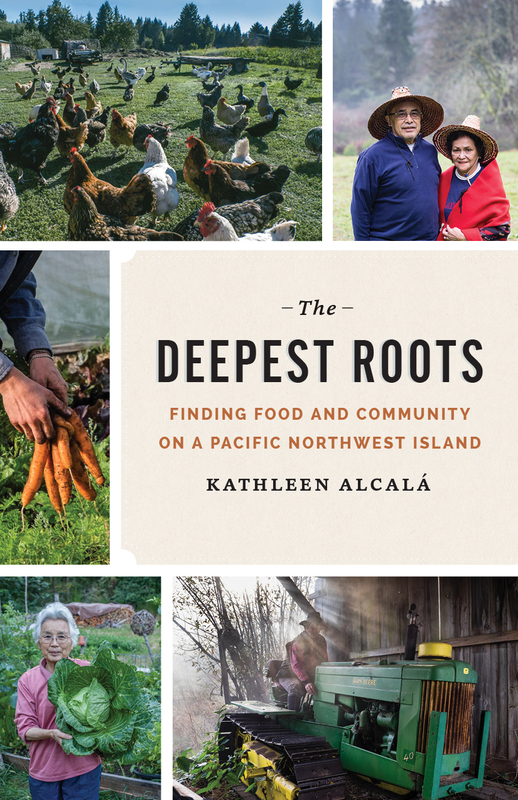 Her most recent book, The Deepest Roots: Finding Food and Community on a Pacific Northwest Island, combines deep historical research and personal interviews in a rousing narrative that uses her home island as an example for exploring issues around sustainability and society. Alcalá meets Japanese Americans imprisoned during World War II, and learns the unique histories of the blended Filipino and Native American community, the fishing practices of the descendants of Croatian immigrants, and the Suquamish elder who shares with her the food legacy of the island itself. In the spirit of the New Year, this guest post from the author offers steps each of us can take to live more thoughtfully and sustainably, so we can take better care of ourselves and our communities—both now and for the future. Kathleen Alcalá makes her welcome Elliott Bay return with her newest book. Joining will be Heather Burger, director of Friends of the Farms, a nonprofit that helps the farmers tell their stories as well as market their products, and Bob and Nancy Fortner of Sweetlife Farm, who are eager to share their back to the land story. 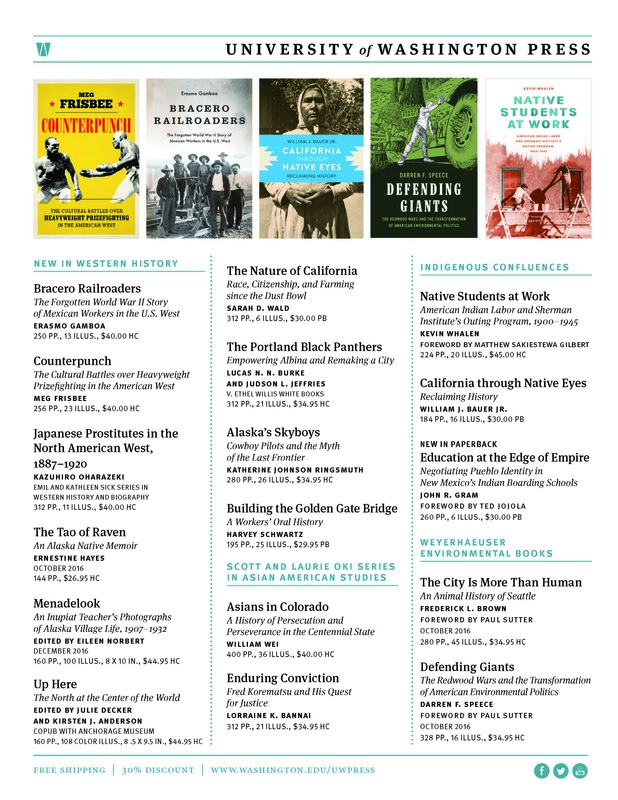 This entry was posted in Events, Guest Post, Latino/a Studies, Memoir, Native American and Indigenous Studies, Pacific Northwest and tagged Pacific Northwest, The Deepest Roots on January 6, 2017 by uwpressblog. October 24 is United Nations (UN) Day. In this guest post, Sylvanna Falcón—author of Power Interrupted: Antiracist and Feminist Activism inside the United Nations—weighs in on the recent election of António Guterres to Secretary-General-Designate of the UN. Struggles over representation, power, and voice occurred during the first United Nations (UN) conference in 1945 where delegates discussed the structure of this new multilateral institution, including the formation of the Security Council and the drafting of the UN Charter. The struggle over representation at the UN is further complicated by geopolitical dynamics in which certain countries of the world are disproportionately empowered at the UN and tend to stifle the voices of those who are less powerfully positioned. Today, these geopolitical dynamics remain reflected in the Security Council, which wielded its formidable influence regarding the recent election of the next Secretary-General—Portugal’s former prime minister, António Guterres—through secret straw polls. With its current configuration of 15 members, including only one woman (US Ambassador Samantha Power), the Security Council forwarded its recommendation to the General Assembly for a full vote that occurred within a matter of days earlier this month. Bertha Lutz, the Brazilian delegate to the 1945 UN conference, remarked at the time, “The men like to hear themselves very much.” As one of four women to sign the UN Charter (out of 160 signatories), Lutz was a feminist associated with the Brazilian suffragist movement. She became frustrated with the men from the conference, whom she described as amicable but determined to create an international organization in which women would not play any central role. It would be fitting to ask ourselves in Lutz’s honor why “the men like to hear themselves very much” and about the evaluation criteria the Security Council referenced for their endorsement of Guterres. The representation of women in high level positions at the UN has been too infrequent. The late Dame Margaret Anstee of Britain, who dedicated her life to the UN, reached the highest level appointment ever occupied by a woman in 1987, when she was named Under Secretary-General. Importantly, seven out of thirteen candidates for the UNSG position were women, indicating that at least the applicant pool had some gender balance to it, but it completely lacked any semblance of equity in terms of regional representation (for example, no applicant came from the African region). While that outcome is disappointing, it is not surprising given the UN has been troubled by problems of representation since its founding. Mr. Guterres is by all accounts an established and respected diplomat. Having formerly served as the United Nations High Commissioner for Refugees, he expressed a commitment to gender equality and gender parity in his vision statement, which I believe is at least promising. He wrote, “The UN must be at the forefront of the global movement towards gender equality, an inalienable and indivisible feature of all human rights and fundamental freedoms.” Perhaps he should look closely at the work of feminist activists who understand that gender equality and parity can only be achieved with a simultaneous commitment to combating global racism. 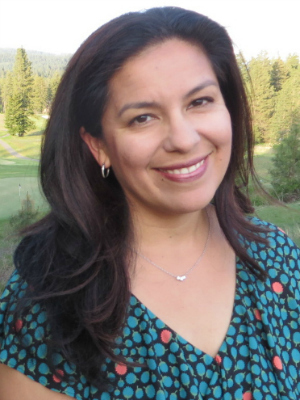 Sylvanna M. Falcón is author of Power Interrupted and an associate professor of Latin American and Latino Studies at the University of California, Santa Cruz. She will be awarded the 2016 Gloria E. Anzaldúa book prize given by the National Women’s Studies Association at the 2016 NWSA annual conference in Montréal, Canada, in November. This entry was posted in Gender Studies, Guest Post, History, Latino/a Studies, Politics, Women's Studies and tagged Power Interrupted on October 24, 2016 by uwpressblog. In this guest post, Linda Rabben—human rights activist, anthropologist, and author of Sanctuary and Asylum: A Social and Political History—draws from recent events in the Pacific Northwest to argue for alternatives to detaining refugees. Dr. Rabben will lecture this week about human rights, the history of sanctuary, and responses to the current refugee crisis at the University of Washington and other Seattle venues. To many people in the United States, the international refugee crisis seems far away, in the Middle East, Europe, Africa, and Asia. But in fact it’s playing out at the local immigrant detention center in Tacoma and in federal court in Seattle. In mid-2015 a Somali boy fled his home after his father was murdered. He traveled alone through South and Central America to seek refuge in the United States. The Office of Refugee Resettlement (ORR) placed him with a foster family in Portland. But in late 2015 federal officials decided that he was not really a minor. They based their conclusion on a discredited dental radiograph test. Congress had passed a law in 2008 banning immigration authorities from determining age solely on the basis of dental radiographs. But ORR agents arrested the boy at his high school in Portland anyway. Immigration and Customs Enforcement (ICE) then shipped him to Northwest Detention Center, a private facility for adults in Tacoma. This entry was posted in Anthropology, Current Events, Events, Guest Post, Latino/a Studies and tagged human rights, Sanctuary and Asylum on October 5, 2016 by uwpressblog.